Great punctuality, great work, nice manner. Absolutely fantastic, did what I asked and was extremely quick too. They were super prompt coming out to give a quote and to do the job, gave good advice and were competitive with pricing. A very affordable professional who does a very thorough job. They were prompt, professional and good quality work. Quick, excellent service, very accommodating to my needs times etc. His work ethic is exemplary. He arrived spot on time and accomplished the job within the time frame he had quoted. Andre is a courteous and caring person. Mark from Berwick did an excellent job. The job turned out to be far more complicated than initially expected. Mark was very professional and understanding. The job he did was thorough and I would definitely hire him again. Stephen did my gardening for me. He was very professional. Always consulted me about what I actually wanted done. Cleaned up completely. I would recommend him to anyone. Matt gave me a good price and did the job promptly and efficiently. Great service. Ian did a really great job with hedges and lawns... and went above our expectations with the quality of work. He was on time when quoting did a great job and his prices were reasonable. Within minutes of my enquiry, Terry from Fox Mowing and Gardening called me and organised a time to come and check what I required, we negotiated a price and He came back a couple of days later and tidied up and removed the weeds from my Garden. Very happy. Extremely professional, does a great job. Responded and quoted quickly. Polite and respectful and did a fantastic job pulling out roots of bamboo along a fence line. I would highly recommend and use this gardening service again. They did a fantastic job & cleaned up beautifully. I could not be more pleased with their service. Lance and Terry did a great job doing a garden cleanup in preparation of a garden renno. They were on time, worked cleanly and quickly. Took instructions on what I wanted doing. I highly recommend this business. I engaged fox mowing who came out the next day after posting and attended to my tasks. did a great job too. Very impressed. I am extremely happy with the job done. Would highly recommend Wayne from Fox Mowing and Gardening, responded very quickly and gave a quote on the same day as requested. Attended on time and did a great job - exactly what we asked for. Friendly and professional. Would definitely recommend this business. Friendly and responsive. 5 stars rating! Awesome friendly bloke, prompt and eager to get the job done. Would recommend! Matt did a fantastic job. His communication was great and he was very punctual. We were very happy with the result!! Communication was excellent. Mark is very professional and did a wonderful job. Our garden has never looked better. Scott has done a great job on the hedge at the front of my place (even the wife is happy) will use him here after. Fox Mowing and Gardening went above and beyondblue what we were expecting, and did an amazing job on our yard. Justin and Hayley proved to be a good combination, reliable, professional and worth hiring. Good service, on time, accurate estimation of time needed to do the job and no mess left behind. Very happy customer. David made himself available at short notice and Arrived on time. He did a great job and did it all in the two hours I requested. He's also a humble guy which I always appreciate when having someone around my home. I highly recommend his services. Peter's price was reasonable, he arrived on time, was a quick and efficient worker and cleaned up when he had completed the job. We are very satisfied and would certainly recommend him. Polite, prompt, detailed the task professionally and began the day after his quote was accepted. Highly recommended! Really happy with Mark’s professionalism and services. He is so friendly and easy to deal with. Will definitely use again. Thanks Mark. Turned up on time, very polite. Gave us good advice, his ideas on what needed to be done. So we are very happy to give him a go. While he was a little more expensive than the other quotes, he knew what he was talking about and did a great job. Thanks to David for his prompt contact and quote. The maintenance & advice received should do the trick after being let down by another tradesman this was refreshing. Thank you! Very professional and knew his field of business very well, prompt on time asked questions to recheck quote and follow up. He was really good, prompt, polite and did a great job on the yard. Cheaper than others. Happy to recommend! Mark is very easy to do business with. Great bloke. Scott from Fox Mowing Golden Grove was fantastic. Came on very short notice, did everything asked at a very reasonable rate! Eric from fox gardening went above and beyond what is quoted me for and did extra things than he quote me for nothing was to much trouble for him he worked is guts out that day and i will definitely be getting him to maintain my garden from now on he is a genuine nice guy. Amazing - Peter came around, quoted a VERY reasonable price, did the job & cleaned up! Excellent. Fast to reply & quote. Professional advice. Great prices. Willing to listen & give ideas without forcing things which aren't needed. Quickest and very fair quote for job. Came to inspect site day after posting job and got in first. Obviously professionals with ability that you trust. And a sense of humour! Prompt reply and unbeatable price. The job was perfect and he was very good. I would be happy to recommend him. They were on time. Did the task I asked and were a reasonable price. Both the person I spoke to on the phone and the person who came to do the job were friendly and helpful. Christian did a great job in cleaning and mowing my backyard at an affordable price. Efficient and pleasant. Will definitely contact him for any mowing and clean up needs! I have gone with Darren from FOX - very very happy. Same day attention, very impressed with service. Damien was very meticulous. Will certainly use service again. He was very prompt with the quote and the price was good and he did a good job. Wes was very polite and knowledgeable about lawns and gardening. His quote was very reasonable and he did a great job of the front hedge and of trimming the side trees. 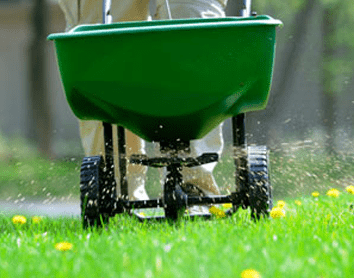 I have now engaged his lawn and gardening services on an ongoing basis. Very professional. Quick to get back to me and prepared to have a go at a very difficult gardening job that no one else wanted to do. Fox did an amazing job separating the pups from two cycad palms into pots. I am very grateful as the palms go back several generations. Well done! Quick call back reasonable price good cleanup. Brodie is a pleasure to deal with, he did a wonderful job on my hedges. I look forward to seeing him on a regular basis. Angelo was able to fit in my job the same day as quoting. He was on time reliable and did a great job - will certainly get him back next time. Happy with Fox mowing. Did a good job, right money. Will use him again. Very prompt and great workmanship. Nothing was too small or big to oblige. Thanks a million. I am so very satisfied with Ian I will recommend him to anyone wanting a good job done. It was a great work. They were excellent, professional, friendly and on time. Competitive price! I went with Fox Mowing & Gardening for the gardening job. We very happy with them. They rocked up when they said they would, did a great job and we have given them extra work on top of what we originally wanted. Very professional. We decided on a price because the job was extensive and he delivered remarkable results from our agreed directions. He also took the green waste with him and called to discuss what was done. Fox Mowing did an excellent job and we are now having him on a regular basis. Fox did our lawn and long grass at the back. Brodie very quickly did an excellent job and at an affordable price. I recommend Brodie from FOX. Quality was 10 out of 10. The people who did the job were amazing! They asked us what we wanted and did the job. No dramas at all! It was great! Fox Mowing & Gardening was wonderful and very good. 10 out of 10. The gardening job is done and Martin from Fox Mowing and Gardening did an excellent job. Prompt & friendly service highly recommend. Happy with the service. Did a wonderful job on my garden. Good communication and good price. David was fantastic. He showed up on time, gave a reasonable price for what was required and did the job to a high standard. We will be using him as our regular mowing/garden man from now on. Fox Mowing was extremely efficient and Eric was great given the heat of the day. I would recommend this business. It's a satisfaction and a pleasure to come home and find a neatly mowed lawn and clean yard. They did a brilliant job! We're super happy. It was fabulous and I highly recommend FOX. David was a pleasure to work with he communicated with me at all times and did what I wanted I would thoroughly recommend. Very happy - my garden looks brand new. I would certainly recommend him. He did a great gardening job. Brodie from Fox was fantastic. Definitely highly recommend to use!! He did a fantastic job for a brilliant price. Very happy! Mitchell was friendly and professional throughout the transaction - from arriving on time to quote, to accurately estimating time and costs, and then prompt and efficient service delivery. A pleasure to deal with! Fox Mowing & Gardening were good, professional, came on time and did everything I requested to be done. They were professional and did a good work. It was a good experience and they had a good attitude. Arrived on time and did an excellent job promptly. Did a lovely job of tidying up our front garden and taking away the rubbish. I would certainly use him again and I recommend him to others. Prompt and did exactly what I requested in a timely manner. Garden looked great. Friendly staff. Will hire again and highly recommend. Quick to respond, arrived on time and did great job. Excellent service discussed all options of job, extremely polite and great value for money. Would highly recommend. They did a fantastic job and would use again. Thanks very much. I would highly recommend this business, he was very polite and friendly and did a fantastic job. Very professional and good value. Highly recommended. Very professional, excellent price!!! Jason was very professional in his work and produced excellent results for our garden which included waste/rubbish removal. He is dedicated, hardworking, reliable and very well priced. Thanks again Jason. Looking forward to you maintaining my garden on a regular basis. Very reliable, very honest, quote very reasonable, would recommend. Highly recommend John of Fox Mowing. Easy to deal with and does a great job. Would highly recommend as he did a great job and was very friendly. Ian and his team were very thorough with carrying out the job at hand. Would recommend. Damien from Fox Mowing has been very professional and responded promptly to our request. He is professional and courteous - a wonderful ambassador for Fox Mowing and Gardening. Cam works well, knows what he is doing, is pleasant and reliable. Fox Mowing & Gardening did a really good job. Mark was a nice person to work with. 5 out of 5. I was happy with the yard work done by Lee. He was a pleasure to deal with and would recommend him again. Very good and nice people. Bernie did a great job. Will call him for my next gardening job. Arrived on time worked hard...... is going to be regularly employed so hope this continues! Well done! I am writing to say how delighted I am with the excellent job you have done in my scrubby-looking, weed-infested courtyard to transform it into an attractive, most usable and spacious garden. Shane was prompt & very helpful. He did a terrific job of mowing & whipper-snippering, & he cleaned the paths & driveway up beautifully when he finished. We couldn’t be happier! David did a brilliant job. I would highly recommend him and would definitely use his services again. Fast, friendly and well priced. Arrived on time and was very helpful and did an excellent job I will definitely be using Fox Mowing again. Service was delivered well. Denis came and gave me a quote, and then we set a date for the work to be done. The garden work was completed well, and I am very happy with the professionalism and level of service I experienced. Thank you. Very punctual and professional. Happy to recommend to my friends and family. Reliable and did a great job! Will continue to keep using Fox Mowing! A massive well done to John at Engadine franchise who came to our property today to mow / edge / patch lawn. He did a brilliant job and went 'above and beyond'. Great attitude and work ethic. The finished product was AWESOME!! and price was more than reasonable. Phil undertook a garden clean up and makeover for an overgrown backyard. He put in a hard days work and got the job done to a good standard. I consider that he provided value for money and would be happy to seek his services for future jobs. Neat, tidy, did a thorough job, pleasant person. I rebooked him for another section of my yard and will probably book him for the third and final section . Dennis did a great job laying new turf for me. He explained exactly what had to be done during our preliminary phone call. I was more than satisfied with his professional manner and excellent work ethos- not to mention that my backyard now looks great! Very happy with lawns done by Fox Mowing. 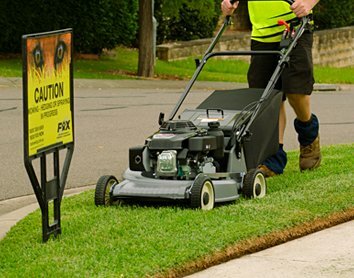 Efficient, pleasant and did exactly as I asked for a reasonable cost compared to other lawn services in the past. Fox Mowing & Gardening was pretty good, actually excellent. He always takes the rubbish and always do an extra mile so he was really good. Fox Mowing & Gardening did a great job, very good job and really pleased with it. Great job very friendly, prompt professional service. I would highly recommend them they can deal with any curve ball you throw at them. Very friendly, quick and brilliant job done for the money! I am very happy with the completed work. Shane was fabulous. He is an efficient worker and was very pleasant to deal with. He is also polite and offers genuine suggestions. Would highly recommend him. Andrew from Fox Mowing is great, very helpful, got the job done very efficiently. Andy from Ferntree Gully branch recently helped us in sprucing up our front yard. He was prompt, easy & lovely to deal with and very efficient. Would definitely recommend him and hope to get his assistance for our future gardening work. We used Fox Mowing & Gardening for the size of the job it was a fair and reasonable price. I would rate them at 5/5. Excellent communication from them even when job delayed due to weather and they did a splendid job. Luca was very polite and professional and did an excellent job fixing my jungle of a garden. I will be using Fox all year round from now on. Highly recommend! Very hard working. Did a great job cleaning up my garden! HIghly recommended! Ben is a gun and would recommend is work. Punctual, hard worker, pleasant and doing a great job. Ben did a great job mowing the yard, turned up early and did exactly as he promised! Would definitely use him again. Luca has been excellent. Such a hardworking, competent person. Very responsive, great and cost-effective service. They did a great job. Totally happy with it. Happy to recommend! Steve was prompt and did a great job. I will definitely use him for future jobs required and would recommend him to others. Extremely happy with the work. Went above and beyond what was agreed. Punctual, reliable, thorough. Very professional. More than happy to recommend. Punctual, practical and obviously understands her craft. He was wonderful! He came out very quickly, on time and his service was excellent. Andy gave a very competitive quote, arrived punctually and worked enthusiastically to complete the job. He checked periodically to see if I was happy with the work and then cleaned up well. Thanks, Andy I'm very happy with the work. Dennis was very helpful. He worked tirelessly until the job was complete. He gave great advice around the garden. I'd use Dennis again for any future job that may come up. Thanks, Dennis! Prompt response, competitive rates, job well done! Craig from Fox Mowing is awesome and we kept on using him for our ongoing gardening maintenance after the initial job. Charges very reasonable price, highly recommend! Excellent service, punctual, value for money and very friendly. Would recommend to others definitely!! Friendly, professional, efficient service. would highly recommend. First time having work soon by this Co. I was lucky to have had Sam doing my work and would highly recommend her. They were very good came and came back to me immediately. They did a very good and excellent quality. Fast, efficient, did the job well. Great friendly service .. job very well done. Anthony was excellent & went above & beyond. Thanks! Brilliant, did a great job. He was punctual and the quote was reasonable. Will use him on a regular basis. Highly recommend. Used Fox Mowing & Gardening and they did a great job. 5-star rating. Highly recommend. Excellent work! Very thorough, would highly recommend. Ian did a great job and left the job site clean and tidy, I would recommend him for any similar jobs. Very prompt, very reliable, very good customer service and we'll definitely use this business in the future and recommend them to others. Great to deal with and very professional. I would highly recommend them. Prompt service contacted me straight away and did a good job. Good bloke, on time, hard worker, great job. Can't ask for more than that. Absolutely Fantastic! Scott was punctual, hardworking, fast, friendly and very professional. The garden went from a forest of weeds and tall grass back to normal in just a couple of hours! Craig was great. He is professional and quick to complete the work that needed to be done. Highly recommend! Can't say enough - prompt and excellent work. I am so impressed with the workmanship and the level of care to improve on what I had. Jason organised for the old grass to be removed, top soil brought in and new turf put down. He removed three conifers that were blocking a beautiful hidden weeping cherry that no-one had seen since we moved here. He also removed old edging and replaced with the new metal garden edging which has given the garden bed a perfect edge. The white gardenias that he chose for around the weeping cherry will be a perfect spring plant when they flower giving our garden a fragrance to die for. This business had a great response time and was very efficient in mowing my lawn for a great price. I will definitely use this company again in the future. Aaron was prompt, friendly, and professional in both communication and his work. Very happy with result. Very punctual. I am extremely happy with his service and would really recommend him to others. Its so nice to deal with a real professional who shows up when they say they are coming. Nothing at all was a problem for him he is extremely helpful. Lindsay from fox mowing did a good job for a reasonable price. I would use their business again. Both Mark and Matt were very professional in their business manner and the service they offered. I am happy to recommend them. Samantha was a pleasure to deal with and did excellent work. My goodness, you have done an AMAZING job. THANK YOU, THANK YOU, THANK YOU . If you want the right price, a person to contact you, and honest man and just an all round nice bloke go with Simon. Mark from Fox Mowing and Gardening did a great (tidy and quick) job....would recommend him to anyone needing gardening work. We had very specific, ie limited, times available and received prompt, no fuss arrangements. The gardening cleanup was done on time and at reasonable cost. Excellent service, absolutely professional, punctual and well done as promised. Tyrone Attard from Fox Gardening, did an amazing job and the price was quite good!! Very recommended. Thanks to Jason at Fox Mowing, he was prompt and stayed late to get the job done - 3 big cabbage palms removed and a lot of golden cane. Thanks Jason. Fox Mowing & Gardening did an amazing job I was very pleased. Scott was excellent to deal with and his work was excellent. I will be using his services again in the future. Great job - very prompt service, local contractor, we were really happy with the work. Everything we asked for was done and done properly. Thanks, we will use you again! Fox Mowing and Gardening removed my rubbish. Dale did an excellent job and I would recommend him to anyone. Fox Mowing and Gardening were the best. He was honest, reliable and very well mannered. Fox Mowing & Gardening were very understanding and they did a great job. I'm really satisfied about the work they did and it was beautiful outcome. Lindsay from Fox Mowing and Gardening was excellent. He did a great job clearing my garden for a great price. Would highly recommend. Jason was great, very professional, did a few extra things and did a very clean job. Great personal professional attitude & business - I wish all were like this! Scott is a great guy. Very prompt and proactive. Very polite, prompt and reliable. Would hire again and recommend. Was only a small lawn but did a great job, trimmed the edges ∧ took cuttings away. Great service !!! Wayne did a good job, he was pretty good to work with, I got no complaints at all and the end result looks fine. highly recommend. Angelo came out to do my garden at short notice ready for my house inspection. 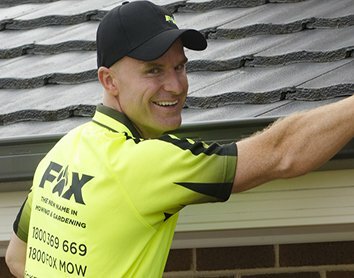 He had a great attitude and did a brilliant and efficient job, which exceeded my expectations! Very friendly, arrived at time arranged and extremely reasonable pricing. Matt is a very pleasant and efficient young man, who was punctual and did an excellent job, including cleaning up all the tree cuttings. I would definitely use Matt again for future gardening work. Josh of Fox gardening did an amazing job laying turf. Reasonably priced and he stuck to his quote. I would highly recommended Josh for any gardening needs. Fox Mowing & Gardening were professional and easy to deal with. They finished the job on time and had met my expectation for the job. I was satisfied and happy to recommend! James did a fantastic job of mulching and composting my elderly mother's garden. She is tickled pink with the revitalised look of the garden and how well James tidied up afterwards. I was very satisfied with the efficiency of the work by Fox Mowing & Gardening. The job was completed on time. I would use this business again. Wade from Fox Mowing & Gardening was on time, courteous and very professional. 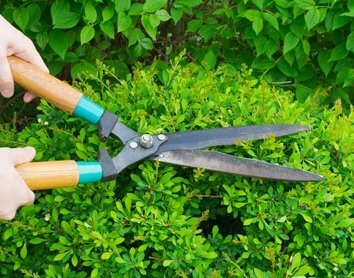 He cut everything neatly and edged the garden to perfection. Very happy with his attitude and timeliness! Paul arrived on time & worked hard. Did a professional job, clearing weeds, laying pavers & erecting a 3x3 flat pack garden shed. Looks fabulous. Paul could put his hand to any handyman job, large or small. I am extremely happy with the job done and will definitely be using Fox in the future. Thanks again. Excellent service, personable, friendly and the job completed was exactly as requested. Thank you. Really great service Fox Mowing & Gardening! On time, friendly, good price, job really well done, will definitely call them for any future work. Efficient, quick and within quote. Wouldn't hesitate to use them again. Fox did an excellent job of our lawn - even my husband was impressed!! I would definitely recommend this company to my friends. Andy was an extremely hard working guy and did a great job without fuss or delay. "Shane was great! Everything happened really quickly. He was able to respond and show up on the same day, he was competent, and well-priced." "Fox Mowing & Gardening did a good job. The end result was fine and I was satisfied with the service. I would highly recommend his service to others." Very professional, conducted himself well, work was great and have called him back again for more work! Fox Mowing & Gardening provided a great service at a very reasonable price. Thanks Derek, the garden looks great and I'm sure the new Owner will be pleased too. The regular mowing has saved me so much time and my only regret is not organising you sooner!